I was in my weight watchers meeting; had weighed in. I didn't think much of it. I left the scale headed in for the meeting. I heard the one weighing me in say I have to give this to the leader. I thought, what, what did you say? She said you have dropped 11.1 pounds!! I was shocked. 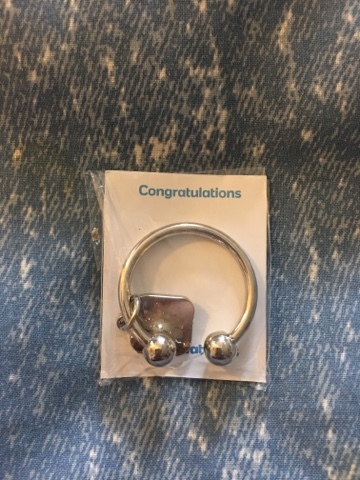 I received a key ring to put all my bling as I continue on my journey. I know I will reach goal. I am looking to that point in my life. All that I will be doing then as compared to now. I realize that I am still healing from my surgeries, but I am already in the race to win!!! Thank you for your support...we've got this! Thanks for stopping by.